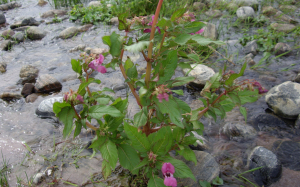 Observation - Is this Himalayan balsam?? - UK and Ireland. Description: Found a number of these plants on the banks of a burn. Found a number of these plants on the banks of a burn.